We’re hiring and we want you to join our award-winning team! 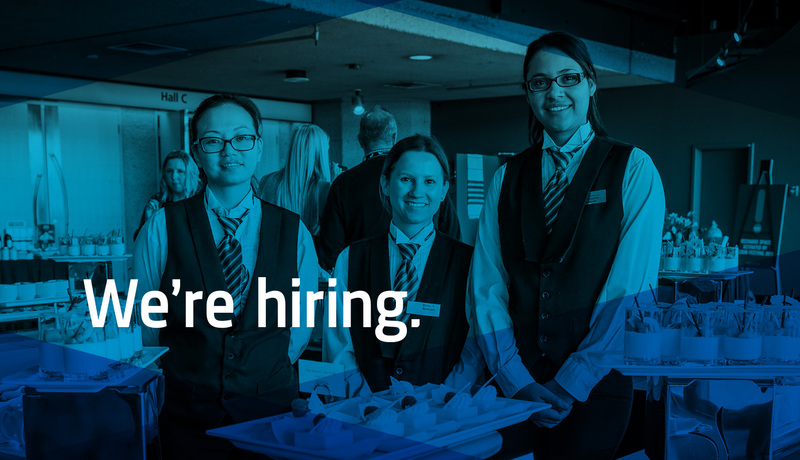 On September 13th, attend our internal Job Fair to learn how you can begin an exciting career at Edmonton’s iconic downtown event destination. As a division of Edmonton Economic Development Corporation, the Edmonton Convention Centre is more than just a place to work. It’s a place where you get to touch the lives of others by creating REMARKABLE experiences each and every day. Serving the Edmonton community since 1983, we’re proud to have a work environment where thousands of professionals have honed their skills and opened themselves up to new possibilities and opportunities for future careers. Recognized by the International Association of Venue Managers as one of North America’s top five performing venues, everything we do is dedicated towards pushing the limits of providing the very best experience a planner or guest has ever had, anywhere. We do this by hiring the world’s best employees. From housekeepers, stewards, event and client services staff to chefs, security personnel, sales managers and marketers, our people are what makes the Edmonton Convention Centre a preferred destination for nearly 650 meetings, conventions and events, and 500,000 guests annually. If you’re a superstar who’s committed to delivering a REMARKABLE experience, we want you to join our team.